The School of Dentistry offers international and service learning opportunities both domestically and abroad. 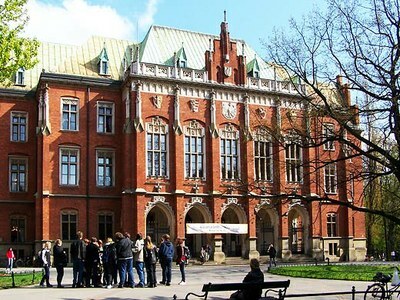 The first exchange program is between the School of Dentistry and Jagiellonian University in Krakow, Poland, giving students and faculty on both sides an opportunity to develop relationships and learn about dentistry abroad. In Fall 2014, UofL welcomed Polish dental students Karolina Klis’ and Aleksandra Sasula, and student researcher Minoslaw Ksiazek. They've been exposed to the United States health care system through observation of the nurse practitioner program at the dental school, DMD clinics, graduate programs, research department, local hospitals, and a privately operated dental lab. The students also took part in the dental school White Coat Ceremony, listened to discussion from the Book-in-Common project and attended the DMD dance on the Belle of Louisville. UofL students will take their turn in Poland, as two DMD students head to Jagiellonian University this November. Faculty, too, will eventually take part in the exchange, for the purpose of exploring collaborative research opportunities. UofL hopes to develop programs with several other international dental schools in the future. For a number of years, dental students have participated in UofL’s service learning trips to Belize and the Philippines. View the Courier-Journal article about student efforts in the Philippines. Students also have traveled to Haiti and Peru. Dental and dental hygiene students that traveled to Peru during Spring Break 2014 joined with physicians, nurses, physical therapists and pharmacists from around the United States. Check out the video from the 2014 Peru trip.